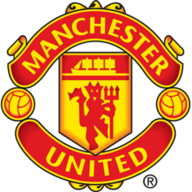 Manchester United can alleviate some of the pressure on Jose Mourinho with a win at his old club Chelsea, live on Sky Sports. United's 3-2 win over Newcastle before the international break may have saved Mourinho's job in the short-term, but this is still their third-worst start to a Premier League season, and defeat at Stamford Bridge could see them slip into the bottom half. 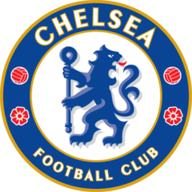 Mourinho has a poor record against Chelsea since he was sacked in his second spell in west London in 2015, and is yet to win an away game against the Blues since he took over at Manchester United a year later. 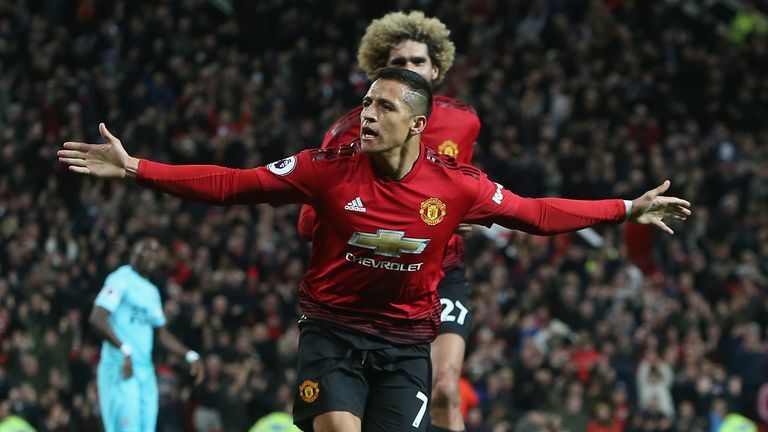 And questions over his future at Old Trafford will intensify if he is unable to arrest that run, live on Sky Sports Premier League from 11.30am on Saturday. Things are looking a lot better for Chelsea, meanwhile, who sit joint top of the Premier League after an impressive start under Maurizio Sarri. The Italian, highly rated for his work at Napoli, has implemented his style in rapid time at Stamford Bridge to lead them to an unbeaten start with eight games gone. 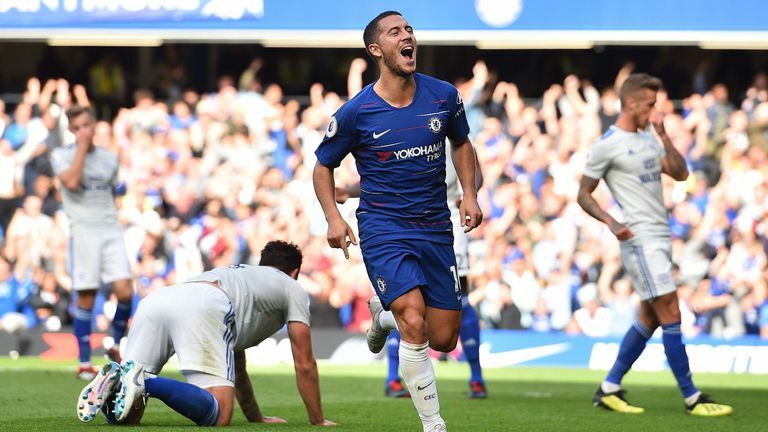 Much of that success has revolved around Eden Hazard, who told Sky Sports this week he would be content to stay at Chelsea for the rest of his career, and is the Premier League's top scorer with seven goals. The Belgian has also made no secret of his admiration for his new manager, who is on course to help him deliver the most productive season of his career. "I like this type of game. It's completely different than Conte or Mourinho before," he said. "We have more ball so for me it's not bad." Chelsea v Manchester United is a Fantasy six-a-side game. Antonio Rudiger is expected to shake off a groin problem to play for Chelsea in Saturday's Premier League clash with Manchester United. Midfielder Ross Barkley is likely to be fit after a knock playing for England, but Ethan Ampadu is out with a knee injury sustained playing for Wales. The Blues are set to be at full strength as they seek to extend their unbeaten run, their only loss in the Community Shield to Manchester City. Manchester United are set to welcome midfielder Ander Herrera back to their squad. Diogo Dalot, Marouane Fellaini, Nemanja Matic, Scott McTominay and Luke Shaw all picked up problems on international duty, while Mourinho revealed on Friday that some players had not yet made it back to the club. Jesse Lingard and Marcos Rojo are expected to remain sidelined. Manchester United have lost more Premier League games against Chelsea than against any other side (18), and the Blues are one of only two sides the Red Devils have lost more games against than they've won in the Premier League, along with Brighton. In all competitions, Man Utd haven't won at Stamford Bridge since Sir Alex Ferguson retired at the end of the 2012-13 season (P6 W0 D1 L5), losing the last three trips by an aggregate score of 0-6. Games between Chelsea and Manchester United in the Premier League have produced 232 yellow cards - 17 more than any other fixture in the competition's history. Manchester United have lost eight of their last 13 Premier League games in London (W4 D1) - as many as they'd lost in their previous 39 visits to the capital (W18 D13 L8). Man Utd boss Jose Mourinho has lost four of his last five away matches in all competitions against sides he's formerly managed, including all three at Stamford Bridge against Chelsea as Man Utd manager. As well as being the highest scorer in the Premier League this season with seven goals, Chelsea's Eden Hazard is the first player to record 10 goal involvements in the competition this season (7 goals, 3 assists). No player has provided more Premier League assists this season than Chelsea's Olivier Giroud (4). Get the dedicated Sky Sports Premier League channel to see Chelsea take on Manchester United.